Use our size charts to find your perfect fit. 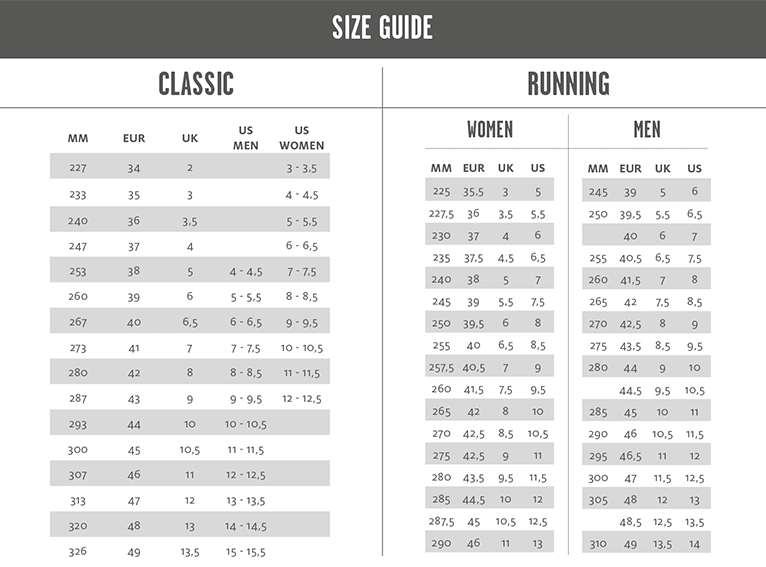 The chart below will help you determine your size based on your measurements. RUNNING COLLECTION: Please remember to order one size larger than you normally wear.